"If you control our sleep, then you can own our dreams... And from there, it's easy to control our entire lives." 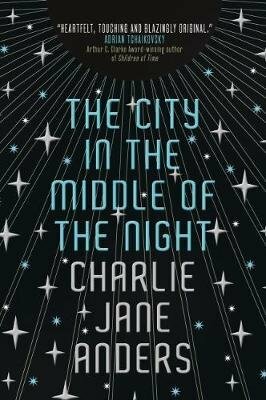 From the brilliant mind of Charlie Jane Anders ("A master absurdist"-New York Times; "Virtuoso"-NPR) comes a new novel of Kafkaesque futurism. Set on a planet that has fully definitive, never-changing zones of day and night, with ensuing extreme climates of endless, frigid darkness and blinding, relentless light, humankind has somehow continued apace-though the perils outside the built cities are rife with danger as much as the streets below. But in a world where time means only what the ruling government proclaims, and the levels of light available are artificially imposed to great consequence, lost souls and disappeared bodies are shadow-bound and savage, and as common as grains of sand. And one such pariah, sacrificed to the night, but borne up by time and a mysterious bond with an enigmatic beast, will rise to take on the entire planet--before it can crumble beneath the weight of human existence.